You know the scene: an inexperienced skate skier, wobbling like a deer on black ice, huffing and puffing from being overdressed for cross country skiing. Don’t let this be you! 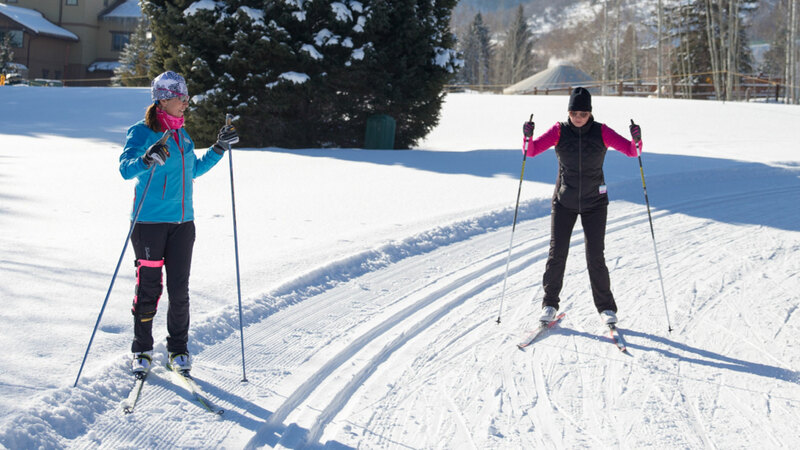 Whether you’re looking to get your feet under you confidently, pick up a few technical pointers, or rock the field in next year’s races, a private skate ski lesson from our local instructors can be a game changer. Skate skiing is a mix of upper body power, lower body strength, core stability, and balance. Your instructor will help you put the pieces together during one of our private skate skiing lessons. In a one-on-one setting, your instructor will help you tweak each and every aspect of your skiing, so you leave looking like you know what you're doing out on the track.